In almost every movie ever made, at some point, a character will consume animal products: a cheeseburger, a steak, a tuna sandwich, an omelet, a slice of pizza, a milk shake...whatever. Often, the script will even have characters specifically voice their love for such fare. In the reviews of these films, of course, you will see no mention of this. No film reviewer would ever condemn a movie simply because the protagonist ate and enjoyed, say, a grilled cheese sandwich. The recent election win of an incumbent and centrist GOP governor in California over his Democratic rival by double digits might suggest that the political status quo is alive and well. Is this gubernatorial landslide a triumph of centrism in the face of left and right extremism? Have California voters spoken and returned to their market-friendly roles as tame workers and faithful consumers? Such views might be off the mark. Consider the coalition actions of union professors and students in the California State University system. An estimated 1,500 of them rallied at the systemâ€™s board of trustees meeting in Long Beach on November 15. Two dozen of these protesters locked arms in a sit-down action in front of the trustees, bringing to mind the black freedom movementâ€™s fight to end racial segregation in the 1960s. What is happening that propelled CSU professors and students to demonstrate this way? Part of the answer is their discontent with rising class size (50 students and up) and student fees, plus six-figure senior management pay that continues after these managers have left the system (also called â€œgolden parachutesâ€). Guess who the Republicans snuck in as Senate Minority Whip? Trent Lott. Yes, that Trent Lott. Welcome back buddy! Youâ€™re a breath of stale air. And just the shot of smack in the arm the GOP needs. A return to the good old high flying junkie days of yore when votes stayed counted and people had priorities. Winning. At all costs. Donâ€™t worry about those silly racist slur charges. Hardly anybody remembers how or why you were unceremoniously bounced from your Majority leader position in the first place. That was four long years ago, which in politics is measured via carbon dating. It was so long ago we hadnâ€™t discovered the phantom nature of weapons of mass destruction yet. 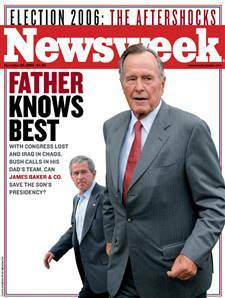 When President Bush had a higher approval rating than the puppy- eating- snake level heâ€™s at now. Back when he acted like he was better than you. And to reclaim a position of power right after the midterms that he fumbled away like a running back wearing ham mittensâ€¦ genius move. As was the secret ballot. Need more of those in the Senate. As per your controversial speechifying about how better off America would be if Strom Thurmondâ€™s Presidential bid on the Segregationist Dixiecrat Ticket had been successful: donâ€™t sweat it, people already forgot. Most Americans are hard pressed to recall anything before the last â€œLost.â€ And your 25- 24 vote margin in the Asleep At The Wheel Party Sweepstakes is especially delicious, considering these are the same folks who insist theyâ€™re doing all they can to reach out to minorities. Apparently still donâ€™t realize you were arguing integration is bad. Besides, you did apologize, and if nobody could quite understand what you were saying because of the hood muffling your words- tough. Wole Soyinka, Nigerian playwright, educator. Prosecutors armed with the statutes listed in Breinholtâ€™s paper are further empowered by using them in conjunction with the â€œmaterial support of terrorismâ€ laws, Executive Order 13224, and civil asset forfeiture laws, particularly those under IEEPA, which were amended by the PATRIOT Act. Under the IEEPA civil asset forfeiture provisions the government can close down an organization and seize its assets while an investigation is ongoing, without probable cause of criminal activity and without any charges ever being brought against anyone. E.O. 13224 was issued on September 23, 2001, and introduced a blacklist of organizations and individuals suspected of terrorism, materially aiding terrorism, or associating with terrorists. IEEPA and international law permit humanitarian assistance for these suspects, including food, clothing and medicine, but this humanitarian aid is outlawed under the E.O. 13224. The penalty, for an IEEPA violation, for organizations that knowingly engage in terrorist financing already carries a sentence of twenty years to life in prison. What this new provision does is â€œdrastically increase the penalties for knowing violations of non-terrorism-related IEEPA offenses.â€ People with a concern for civil liberties are troubled by the fact that the government provides no legal definition of what they consider a â€œspecially designated terroristâ€ and by the broad manner in which the government is interpreting the new rules. There's a disturbing dynamic that occurs on every Manhattan street corner, every minute of every day. By simply watching the typical New York City pedestrian when he or she reaches the corner at a red light, you get a pretty good idea of what it's like to deal with an overcrowded, rancorous metropolitan area on a daily basis: No one waits on the sidewalk. Even if a thousand cars are racing by, practically every single New Yorker insists on stepping a few steps out into the street while waiting for the light to change. They'll even go as far as squeezing themselves past other impatient street-crossers just to get to the front of the pack. We are so hyped up, so overstressed, so programmed to do everything fast that we can't even endure waiting 30 seconds for a damn traffic light. We'll risk death by stepping off the curb in order to get a head start on the green light. With this in mind, here's a little thought experiment: Let's say I'm on such a corner as a pedestrian pushes past me-too harried to realize that she is stepping directly into the path of an oncoming SUV. I reach out, grab hold of her jacket, and yank her back to safety...only to realize it was none other than Condoleezza Rice. I wonder: How might that make me feel? â€œWelcome to Americans for Truth, the only national organization devoted exclusively to exposing and countering the homosexual activist agenda.â€ Thatâ€™s the proud-to-promote bigotry greeting on the AFT website. We want all people in the United States to enjoy the same legal rights as everyone else, unless they have forfeited them by violating the rights of others. We believe this should include some things that are, apparently, very controversial. They include the right to serve, fight, and even die on behalf of our country in the military; the right to earn a living by working hard and being judged wholly on the quality of our work; the right for teenagers to attend high school without being shoved, punched, or otherwise attacked; and, yes, the right to express not only love for another person but a willingness to be legally as well as morally responsible for his or her well-being. Civil equality is what the so-called â€˜homosexual agendaâ€ is all about. Denying civil equality is what AFT is all about, as was well illustrated by its president, Peter LaBarbera, in one of his recent â€œpress releases.â€ Consider his convoluted words and overt desire to discriminate. I don't know that much about Jim Webb. I don't know how he will actually vote when lobbyist push comes to corporate shove in the Senate. And I certainly don't buy into the propensity of so many in the blogosphere (not to mention the mainstream media) to fall into swoons of hero worship over this or that politician. But I will say this: Webb's recent opinion column â€“ in the Wall Street Journal, no less â€“ put the facts about the elitist rapine of the American people about as squarely as you could hope for from an elected official writing in an Establishment paper. If Webb backs up these insights with political guts, he could serve as a formidable champion for economic justice â€“ or at least (and more likely, given the near-total corporate-elite control of Congress) an outspoken gadfly, in the Proxmire mold, who by stating bald truth draws constant attention to the hypocrisy and servility of his colleagues. What I found especially interesting was Webb's insider exposÃ© of the true attitudes of the corporate elite â€“ their overwhelming sense of entitlement, their utterly callous dismissal of the rabble they squeeze their riches from. Let us have more of this, Senator Webb. â€œGod is greater than Israel and America,â€ was the echoing cry of tens of thousands of Palestinians, who descended into the graveyard in grief stricken Beit Hanoun, in the northern Gaza Strip. They congregated in yet another familiar scene to bury their loved ones, killed by Israelâ€™s brutal war against the Palestinians. This time, the loss was too great to bear, even by the standards of the people of Gaza: eighteen ambulances lined up, carrying the mutilated bodies of eighteen members of the same extended family, the majority of whom were women and children; all civilians. â€œI will avenge; I will avenge,â€ screamed a relative of one of those who died in the Israeli artillery attack on Beit Hanoun, on November 8. A man initiated the burial ceremony by stepping forward carrying the lifeless body of his one-year-old baby. The tough posture Gazaâ€™s men often wish to exhibit was overshadowed by incomprehensive grief; relatives and friends were collapsing in droves; others reached to the sky, in despair. Only God could hear them now. Two more tiny bodies swaddled in white made their way through the crowd; more followed. The total number of those killed in the Israeli bombing of the civilian neighborhood rose to 20, adding to over 50 others killed earlier in the same Israeli military assault dubbed â€œClouds of Autumnâ€, which converged mainly on Beit Hanoun. The latest two figures are to be included in the overall count of 350 Palestinians killed since last June, in the wider military operation carried out in Gaza and dubbed â€œSummer Rainsâ€.